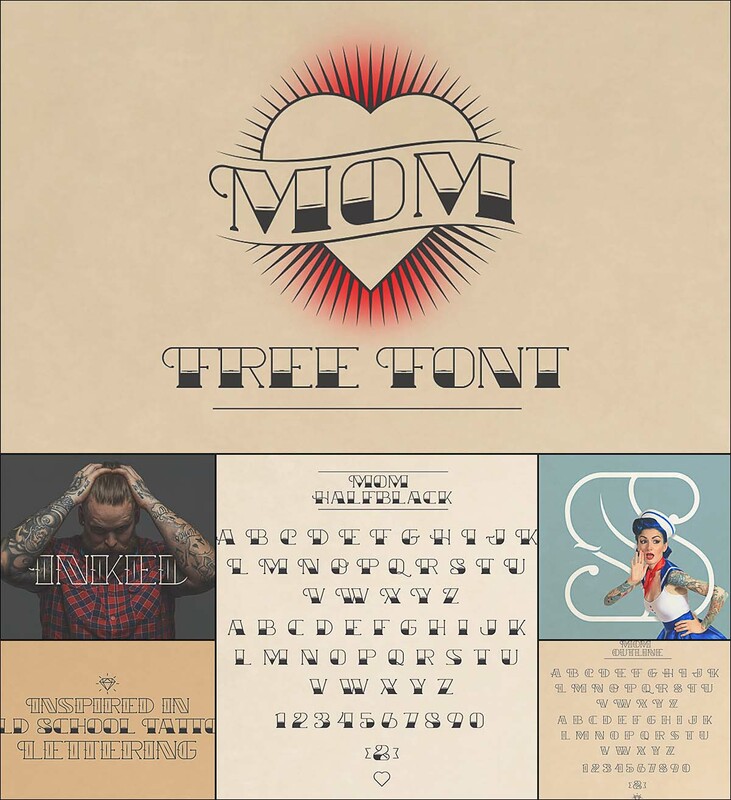 Introducing Mom old school free font. You can use this font for various purposes. such as logo, t-shirt, posters, lable, tattoo design and etc. Tags: font, heart, ink, mom, old school, retro, roman, tattoo, tattoo design, typeface.